At a media briefing on 1 March 2016, the National Electricity Regulator of South Africa (Nersa) announced the approval of an average 9.4% electricity price increase for Eskom for the 2016/17 financial year, while rejecting Eskom’s claim for a higher tariff increase to compensate the utility for unbudgeted costs of diesel incurred during the 2013/14 financial year. By JOANNE TAYLOR and CHRIS YELLAND for EE PUBLISHERS. Using the regulatory clearing account mechanism, Eskom applied in late 2015 to recover from electricity customers, via an additional tariff increase in 2016/17, about R22.7-billion of variances in its actual costs and sales revenue in 2013/14 from those projected in its multiyear price determination 3 (MYPD3) price application. After receiving 82 written submissions from affected stakeholders, and holding public hearings around South Africa in February 2016 to hear oral submissions from the public, Nersa rejected about half of Eskom’s claim, and only allowed the pass-through of about R11.2-billion as having been prudently and efficiently incurred. In respect of Eskom’s claim for R8-billion for unbudgeted diesel costs in 2013/14, Nersa ruled that the utility’s extensive use of diesel-powered Open Gas Cycle Turbines (OCGTs) in the Western Cape was a direct result of the poor performance and low availability of Eskom’s coal-fired power stations, well below international benchmarks, and the late completion of Eskom’s Medupi, Kusile and Ingula new-build programme. Of its R8-billion diesel claim, Eskom was only allowed the recovery of R1.25-billion, the cost of coal to generate electricity equivalent to that generated by the unbudgeted diesel used. Eskom CEO Brian Molefe disagreed with the Nersa decision, issuing a statement after Nersa’s announcement that “yet again” Nersa’s decision does not address the question of Eskom’s continued financial sustainability. “We note with concern the decision on OCGTs, which will guide Eskom’s operations in the future in terms of balancing the energy supply and demand in a bid to avoid load shedding”, said Molefe. He further complained that the diesel-powered OCGTs had been used to avoid or limit load shedding on the understanding that Eskom could recover these costs within the regulatory clearing account process. Photo: Nersa chairman Jacob Modise at the media briefing. He added that that while Eskom would do its best to minimise the risk of load shedding, with the utility’s already depleted balance sheet the OGGT decision “will have operational consequences”. Nersa has also ruled that Eskom must submit a new multiyear price determination (MYPD4), within three months, because the assumptions and forecasts upon which MYPD3 was based for 2013/14 to 2017/18 have materially changed. A new multiyear price determination is expected to become effective from 1 April 2017. 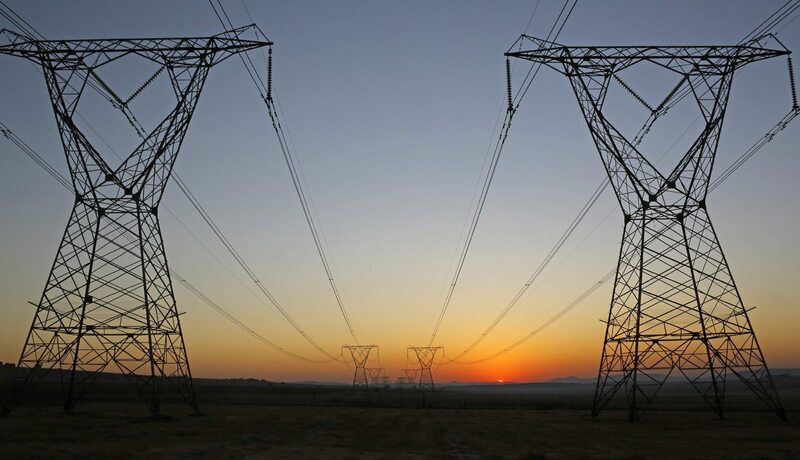 This is clearly required to reflect current economic circumstances and Eskom’s position, and therefore to provide more certainty to the electricity price trajectory in the years ahead. Nersa indicated at the media briefing that the regulatory clearing account mechanism would still be retained as a tool as part of the regulatory process to make adjustments retrospectively resulting from variances in prudently and efficiently incurred costs by Eskom, and to ensure that these costs were adequately recovered from Eskom’s sales revenue. The increase of 9.4% in Eskom’s average electricity price will become effective on 1 April 2016 for the utility’s direct customers. Tariffs for customers supplied by municipal electricity distributors will go up on 1 July 2016, and it is expected that a similar price increase will apply. Nersa also regulates the electricity tariffs of municipal electricity distributors, and typically about 70% of their cost structure comprises electricity purchases from Eskom. At the media briefing, Nersa stated that it had taken the public interest and all the inputs received from stakeholders into account. When questioned about the 8,000-plus responses collected on the Organisation Undoing Tax Abuse (OUTA) website, and the 50,000-plus responses to the online Avaaz petition, Nersa’s board member responsible for electricity regulation, Thembani Bukula, confirmed that Nersa had received these submissions. He indicated that these had each been counted as only one of the total of 82 written submissions received. Photo: Eskom power lines run through an open field as the sun rises on a cold winters day in Johannesburg, South Africa, 08 June 2015. EPA/KIM LUDBROOK.